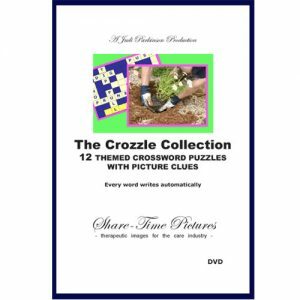 This dvd contains 12 simple themed Crossword Puzzles for the large TV screen, with picture clues for every word. Ranging from easy to more complex puzzles to suit different levels of cognitive ability for the person living with dementia. 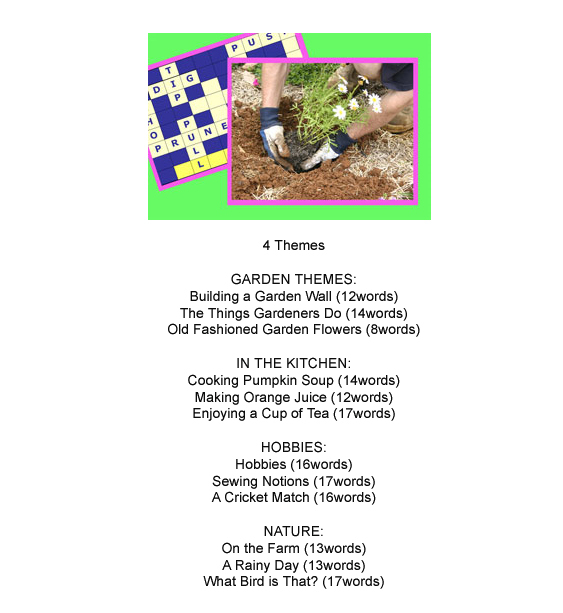 There are four themes that cover – In the Garden, In the Kitchen, Hobbies and Nature.